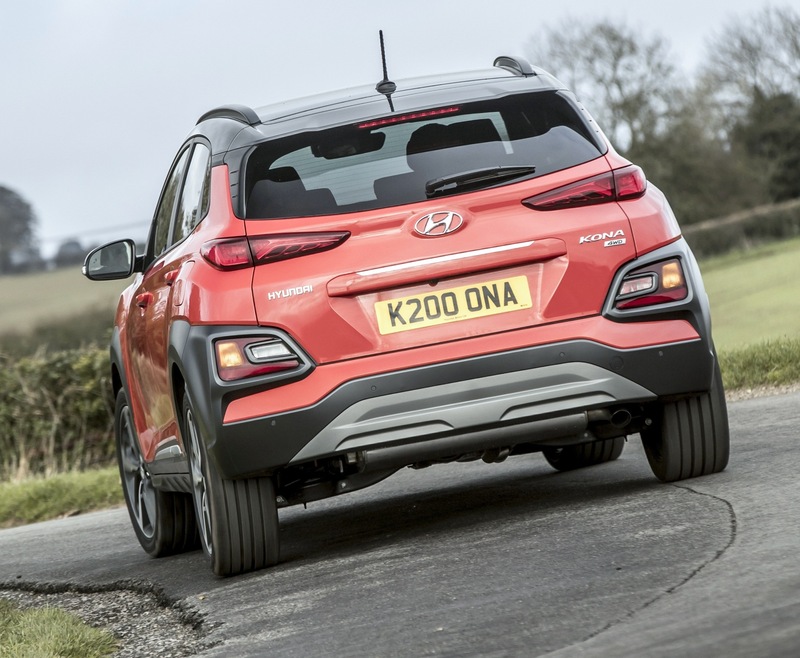 There is a lot of noise and hype generated about SUVs at the moment but the Hyundai Kona compact five door SUV does not shout about its abilities, it just delivers them. This fuss-free formula is favoured by those who need the space and equipment of a quality SUV which decides when you can get away with front wheel drive or would benefit from all-wheel-drive. Best of all it does not bring you out in a sweat on the road or reading your bank statement because it is comparatively well priced for what it is and does. 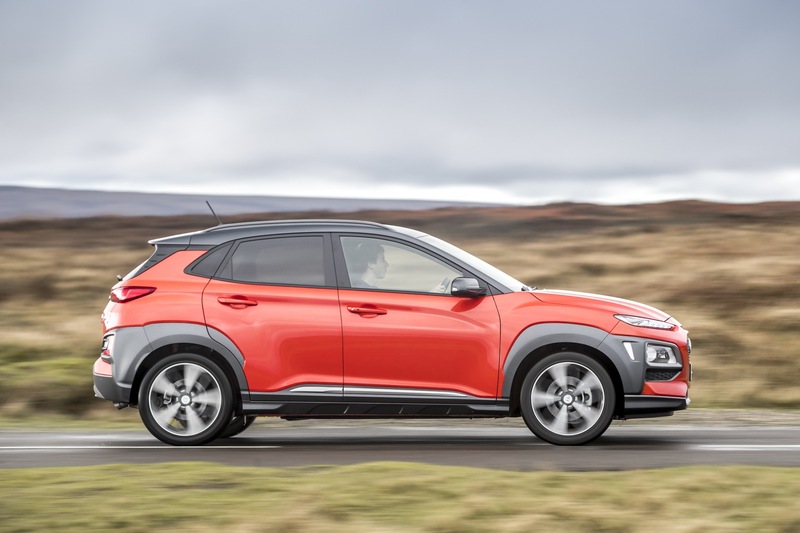 The Hyundai Kona range includes no less than four all-electric models in its 18-strong line up with six trim levels, from £16,450 to £38,645. Traditional 1.0 and 1.6 litre T-GDi petrol and 1.6 litre CRDi diesel engines span 115 hp to 177 hp with manual or automatic transmissions depending on power output, and 2WD or 4WD traction. Our higher trimmed and powered petrol 4WD comes with a new seven speed multi-mode dual-clutch automatic transmission with significant emissions and fuel savings over a conventional six speed automatic, and it’s a very good combination. 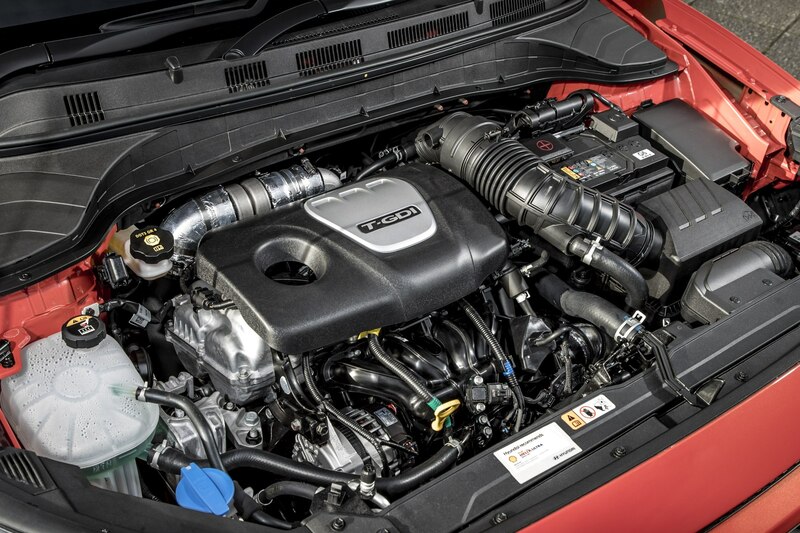 The 1.6 litre T-GDi petrol engine is a quick starter, pulls well and the new automatic box is particularly smooth and quiet going up or down the ratios, and can be manually moved as well if desired in some situations. A diff-lock and drive mode completes the package for any situation you’re likely to encounter. The Normal, Eco or Sport driving modes are immediately apparent if you select them and it really pays to use the system to stretch out fuel or condense overtaking time. We saw over 40 mpg at times but it did settle to an overall figure in the mid-30s, which did slightly disappoint. The revised steering imparts greater feel than before and it gives the Kona a good turning circle without becoming twitchy or suffering from kickback, so it handles better through sweeping bends or city streets. I found the brakes underfoot were progressive and powerful, the parking brake was also strong on our usual test slope. Secondary controls on stalks and the wheel-spokes were immediately to hand, worked well and clearly marked, the same being true of the simple instrument cluster infront of the driver and housing the multifunctional settings info, while a central console display carried the infotainment and ancillary features. Heating and ventilation was simple and effective, warming the cabin throughout with good directional control, output and volume, and there were powered windows backing up. I found the oddments room restricted by the shape and size of compartments, cubbies and pockets but the normal bootspace was well shaped and easy to load, quickly almost tripling in capacity with the offset split back seats folding out of the way. Access for driver and passengers was unobstructed and the room inside was good with a fair amount of adjustment range on the front seats. They were comfortable seats wrapping around the back and bottom with a pleasant-shaped backrest and head support. Visibility was good to front and sides, slightly more restricted over the shoulder and you really needed to use the camera when reversing as some items behind were not visible from the front. Noise levels were low to modest depending on how hard you pressed on and the surface beneath the tyres, the most noticeable being the road rumbles on bad pieces of tarmac. It accelerated well with nice effortless changes, felt taught and responded without drama to braking effort. The interior is very plastic in nature with a lot of hard surfaces but the designers have included some colour breaks, although it could be more distinctive. Externally it looks like any other SUV and lacks strong individuality, but perhaps that is what most owners want, not to stand out from the crowd but to get on with a job. A capable and practical vehicle, sensibly-priced. For: Powertrain, equipment, comfortable seats, secure handling, low noise intrusion, good warranty. Against: Modest fuel economy, very plastic interior, few eye-catching interior features and conservatively styled exterior. 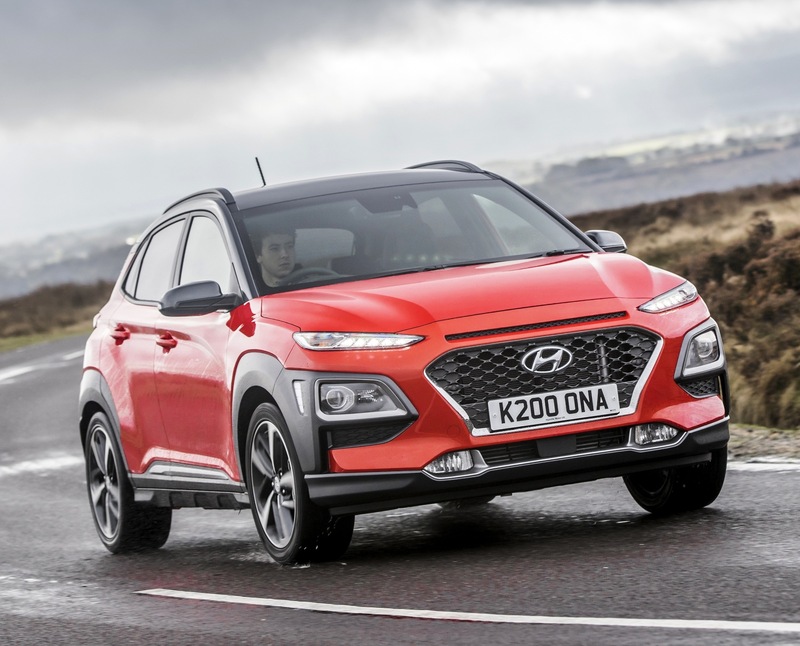 Hyundai Kona 4WD 1.6 T-GDi, Auto, Premium. Mechanical: 177 hp, 265 Nm (195 lb.ft), four cylinder, 1,591cc, turbo petrol, seven speed auto, 4WD. Performance: 127 mph, 0–62 mph 7.9 seconds. Fuel consumption: Combined Cycle 42.2 mpg (36 mpg on test). Emissions and taxation: CO2 emissions 158 g/km, VED road tax £515/£140, BiK company car tax 32%. Warranty: Five years/ unlimited miles. Dimensions/capacities: L 4,165 mm (13.66 ft), W 1,800 mm (5.91 ft), H 1.565 mm (5.13 ft), boot/load space 334 – 1,116 litres (11.80 – 39.41 ft), braked towing weight 1,250 kg (2,756 lb), five doors/five seats.